LET'S GET THE WHOLE WORLD RUNNING! 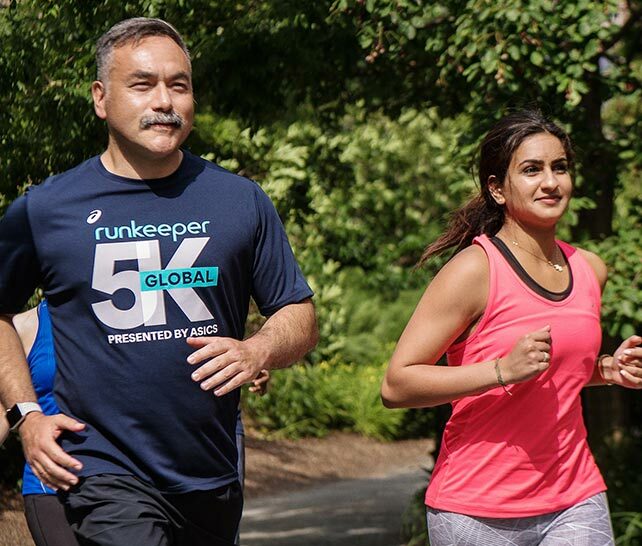 Join us—and the entire Runkeeper community—in tracking a 5K on Saturday, July 15 or Sunday, July 16. It's our biggest event of the year and your chance to run alongside 182 other countries. Last time, over 250,000 people joined. 2,750 ran their first 5K while 5,325 others hit a personal record. Now it’s your turn! The Global 5K Performance Tee is back with a brand new design for the 4th Edition. It’s a great way to commemorate the race, so don’t miss out! Customize your Global 5K bib to wear on race day. If you prefer to share it on social, there’s an option to do that too. 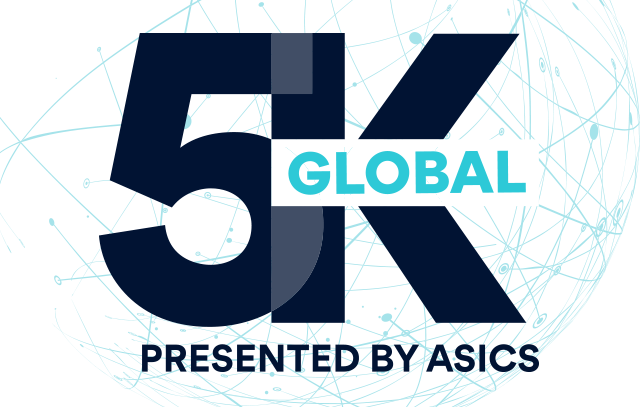 Want to run the Global 5K with a group? Runkeeper and ASICS will be hosting race day meetups at select stores. 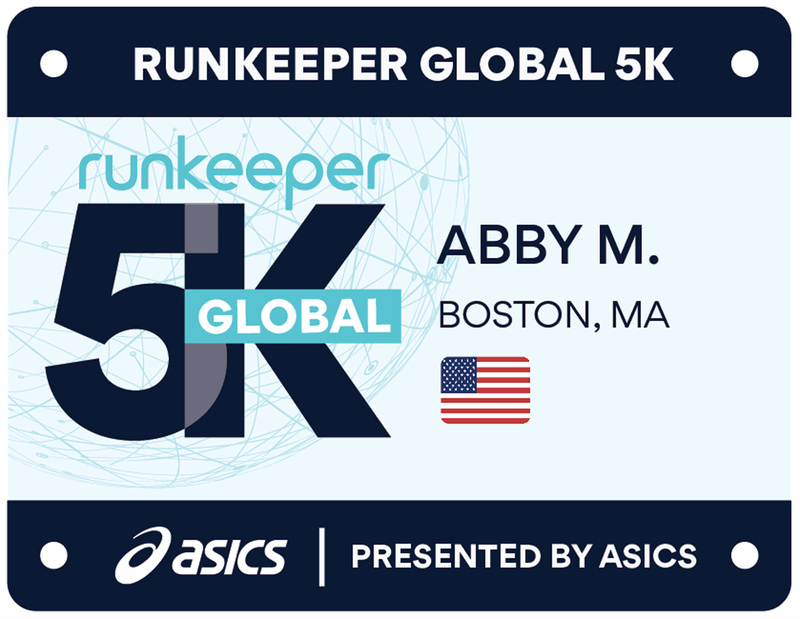 To complete the Global 5K run or walk 5K (3.1 miles) anywhere in the world on either Saturday, July 15 or Sunday, July 16. You can run on both Saturday and Sunday. We will leverage your fastest average pace for our leaderboard. Running and walking activities are eligible towards completion. GPS and Stopwatch Mode eligible towards completion of Global 5K. Only GPS tracked activities will be considered for Top 25 placement. Orders shipping to the United States typically arrive within 5-7 business days from your shipping confirmation email. International orders typically arrive within 2-3 weeks from your shipping confirmation email. For US residents, please order your shirt by July 6th in order to receive it by race day. International orders can not be guaranteed to arrive by race day, so please order as soon as you can. Exchanges will be honored for customers who prefer a different size. To initiate an exchange, please email us at storecustomerservice@runkeeper.com and we'll help get your order returned or exchanged. Your shirt must be sent back unused and in its original state within 14 days for the return to be accepted. If we do not have the size you want, we will honor your return with a full refund.